This isn’t a phrase I use very often! I am a huge advocate or reduce, re-use, recycle… repurpose, refuse…. anything to mean that ‘stuff’ doesn’t need to be thrown away. 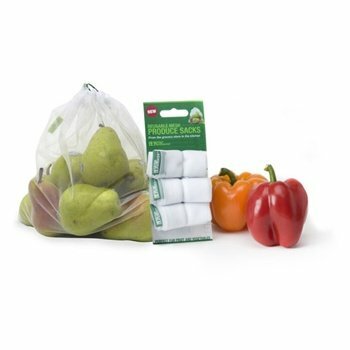 But in the case of your bokashi compost tea, throwing it away can be the best thing to do. Bokashi tea can make a great fertilizer for your plants (indoor and outdoor). Read more about using bokashi tea here. However, over the colder, winter months your plants probably don’t need as much feeding (and there are days when even the most dedicated gardeners would rather stay indoors and doesn’t fancy feeding the garden). So, if you don’t want to (or need to) use the bokashi tea for fertilizer, what do you do with it? Throw it away! Down the drain, to be precise. You can feel good about doing this, as it is completely harmless to the environment (in fact its beneficial), and doing so will very likely prevent the headache of clogged pipes down the road. If you’ve ever had to have your blocked drains professionally cleaned, you can appreciate the headache that it causes. Not everyone is able to do the whole diy aspect around the home, as much as it would be useful. But this is why there are professionals like your local Inland Plumbing, who will do a better job in solving all your plumbing problems than you could if you were to do this on your own. Within the house, the common cause is buildup of cooking debris (mainly grease and oils) from the kitchen sink. This slowly builds up over time as a kind of living sludge. Elsewhere, a small imperfection in the line can cause something as small as a hair to get caught, and the blockage will start to build up from there. Outside of the house is where the more serious problems occur. Tree and plant roots, in their constant search for water, find their way into the lines and proliferate. 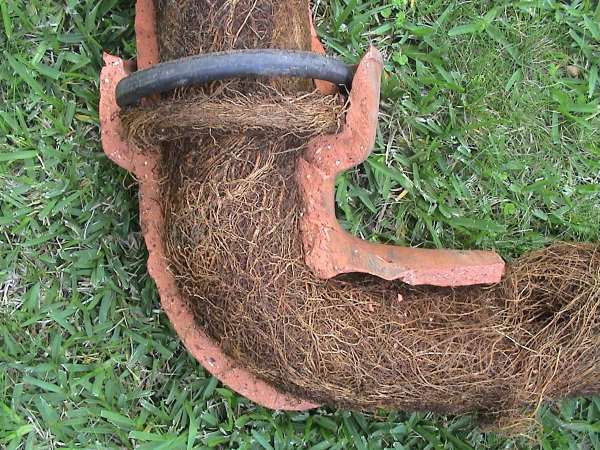 Older houses are most at risk of this, as they have clay or cast iron pipes which are prone to cracking. Tree roots find these cracks, and pry them apart. With this being said, this can always be sorted. You need to make sure you find the right specialists who can deal with this issue, especially when it comes to having to unblock larger drains. As this sort of job means potentially having to work in tight spaces, training from a company like WH&S More Skills is offered to the workers . This provides them with the skills and knowledge of being able to work safely in these conditions and provide you with the best level of service. You’ll have your drains cleared in no time. Other homes, in rural areas, have septic tanks and septic fields to worry about. These can easily become clogged or overfilled if the health of the tank or field is weakened. 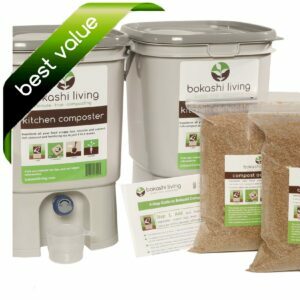 Bokashi tea is made of juices from your food scraps plus everything it picks up on the way as it drains through your kitchen composter; microorganisms from the bokashi process, water, organic matter as well as the by-products and waste from the bokashi bacteria. In other words… it is all natural and perfectly harmless to poor down your drain. In fact it can actually be good for your drains. An easy and proactive solution to blocked drains is bokashi tea. The microbes in bokashi tea work excellently over time to clean out sludge and organic debris from your pipes. And being acidic in its undiluted form, it deters plant roots from developing. For your septic tank or septic field, the bokashi microbes will thrive there, and in doing so will break down the wastes. It will also help with odors that sometimes come back up the pipe into these homes. No need to dilute the bokashi tea you can simply empty your tea straight down the drain. 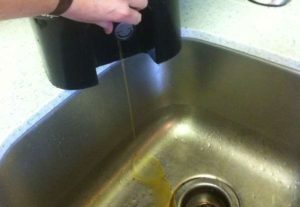 Simply put your bokashi composter into the sink and open the spigot. A very brief run of water down the sink afterwards will remove the bokashi tea smell from the room, and spread the tea down the line. Repeat as often as is needed. If your drain is particularly blocked (and, if possible), don’t put any water down the drain for a few hours to give the bacteria chance to do their work. During the summer I collect every drop of water from my house for my garden; shower, dish-washing etc. This meant very little water goes into my septic tank system. Without enough water, these septic systems start to smell…. bad! However, after putting just a cupful of bokashi tea down my kitchen drain the smell disappeared in less than 24 hours. I had great success using bokashi tea to unblock a drain filled with dog-hair. I simply put a cupful of bokashi tea down the bath drain and left for a couple of days. Voila, clear drain! So you don’t need to feel guilty about ‘throwing away’ your bokashi tea down the drain. It is completely harmless to the natural environment and will actually be beneficial to your drains. Bokashi tea: What is it and how can I use it?